Paramount Pictures, IMAX Corporation and AMC Theatres are giving fans one last opportunity to see Christopher Nolan's Academy Award-nominated film Interstellar. The critically acclaimed film will play in the IMAX® format in select AMC Theatres in the U.S. on Saturday, February 21st, 2015. The one-day-only "An Encore of Interstellar: The IMAX Experience" showings will take place at 3:00 p.m. local times at participating AMC Theatres and will feature more than 12 minutes of never-before-seen exclusive behind-the-scenes content. Moviegoers who purchase a ticket at a participating AMC Theatres box office to see "An Encore of Interstellar: The IMAX Experience" can receive an additional ticket free. This special offer is only available at participating AMC Theatres box offices; online purchases are not eligible. Tickets are on sale now. 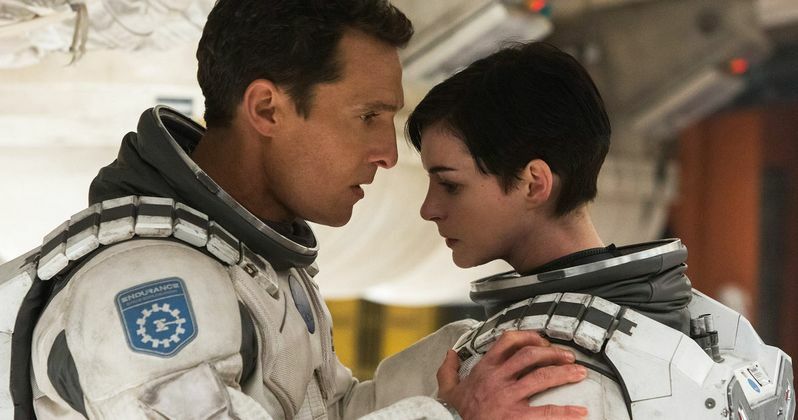 For a list of participating theaters, please visit AMC Theaters here: https://www.amctheatres.com/movie-news/2015/02/interstellar-imax-encore-buy-one-ticket-get-one-free|CLICK HEREInterstellar is nominated for five Academy Awards®: Best Visual Effects, Best Original Score, Best Production Design, Best Sound Mixing and Best Sound Editing. The film stars Matthew McConaughey, Anne Hathaway, Jessica Chastain, Bill Irwin, Ellen Burstyn, John Lithgow and Michael Caine. With our time on Earth coming to an end, a team of explorers undertakes the most important mission in human history; traveling beyond this galaxy to discover whether mankind has a future among the stars. Interstellar is directed by Christopher Nolan, written by Jonathan Nolan and Christopher Nolan, and produced by Emma Thomas, Christopher Nolan and Lynda Obst.